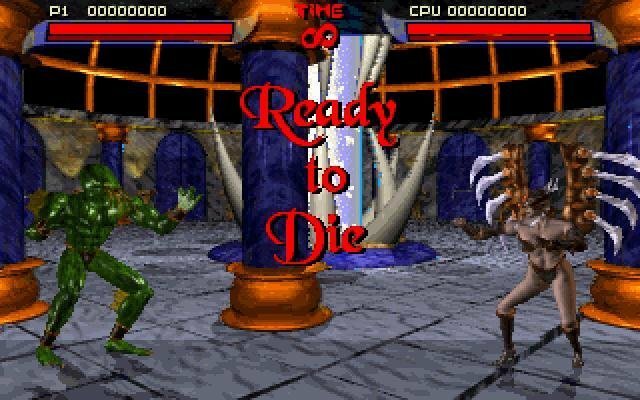 For those of you who haven’t played Killer Instinct on the Super Nintendo, it’s a fighting game that features pretty graphics, shallow strategy, and cheesy “combo” moves that permit you to string together dozens of moves at once with the slightest provocation. The only things saving it from being thrown in the back of the arcade with such clunkers as Karate Champ are its lavishly-rendered fighters, dazzling special effects, thumping techno music, and gratuitous bits of full-motion video. 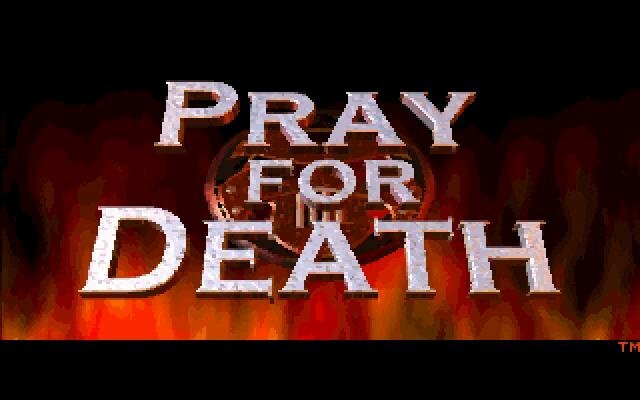 Pray for Death has a story involves a bunch of nasty folks in Hell competing in a fighting tournament sponsored by Lucifer himself. 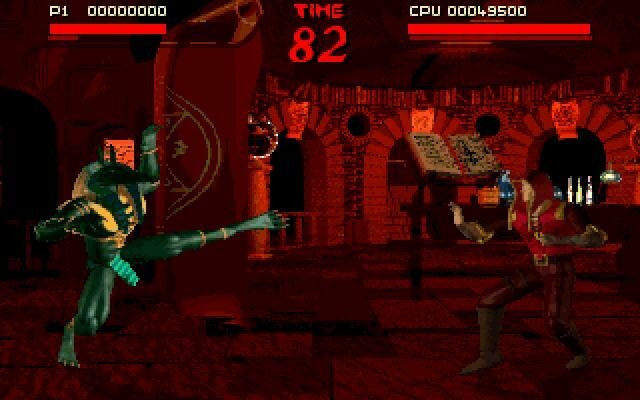 The 2D fighting takes place on top of a typical side-scrolling background, with punches, kicks, slashes, and special moves. 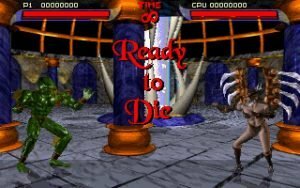 You’ll probably want to crank the difficulty level down to “Dead,” since controlling your fighter consists of the same tiresome button-smacking and thumb-twitching we’ve grown to hate. 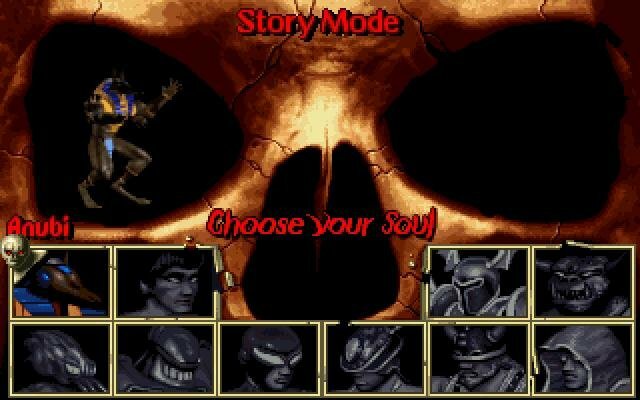 To its credit, they did manage to make the graphics look cool. 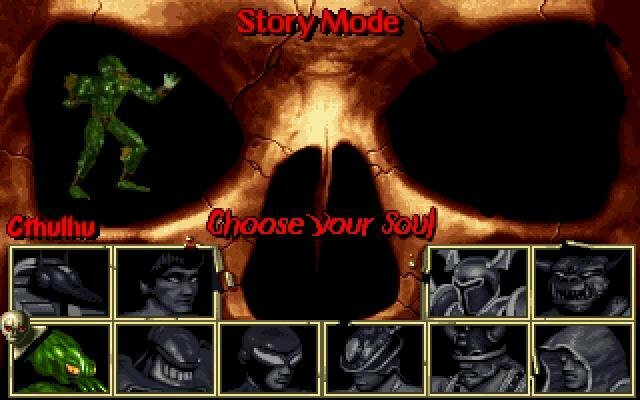 Simply put, this is the best-looking 2D fighting game on DOS ever made, visually eclipsing Killer Instinct. The character design is quite good, with the huge fighters moving smoothly, and hits result in bloody spurts or glowing sparks. Unfortunately, the play is unbalanced, combo moves are tediously difficult, and the whole experience frankly isn’t much fun at all. 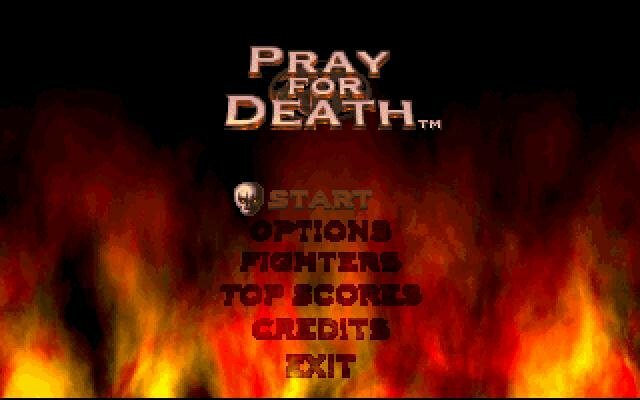 Pray for Death lacks the balanced fighting system of Street Fighter II and the better play of Virtua Fighter.